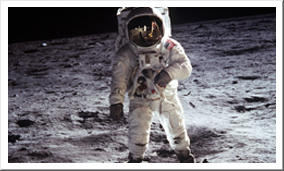 Astronaut Edwin “Buzz” Aldrin, a native of Montclair, New Jersey, was the second man to stand on the surface of the moon. The visor in his helmet shows a reflection of Astronaut Neil Armstrong (first man on the moon), taking this picture as well as one footpad of the Lunar Module Eagle and the United States flag planted next to it. 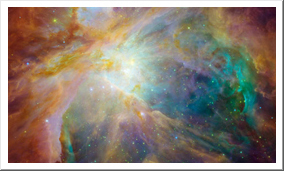 Soar into space in the New Jersey State Museum's Planetarium! The Planetarium regularly premiers new and exciting shows for a variety of ages that feature state-of-the-art Full DomeVideo. The Museum's spacious, specially-designed reclining seats easily accommodate groups of up to 140, while dynamic and knowledgeable show presenters take the visitor zooming through the solar system with customized star talks. The Planetarium offers both traditional sky and full-spectrum laser programs. Made possible by the generous support of the Prudential Foundation. Made possible by the generous support of the Prudential Foundation. General Admission: $7 adult; $5 child (twelve & under) Groups of 15 or more: $5 per person. Camps welcome. For more information, call (609) 292-6464. PLEASE NOTE: Planetarium shows are offered to the public on Weekends only during the school year. Weekday shows are held by reservation for school or community groups. During the summer months, winter break, and spring break there are special weekday shows offered to the public. Please check the current schedule for detailed public showtimes. Bring your child to the Planetarium for their birthday and receive a free gift! Just tell the box office when buying tickets and give them the birthday child’s first name. They will give your child the free gift and the Planetarium will announce the birthday before the show! Happy Birthday from the New Jersey State Museum! Every star has a story. Some are as old as time, faint and almost forgotten. Others burn bright and end their lives in powerful explosions. New stars are created every day, born of vast clouds of gas and dust. Stars release the energy that powers the Universe. Journey to the furthest reaches of our galaxy and experience the awesome beauty and destructive power of Stars! 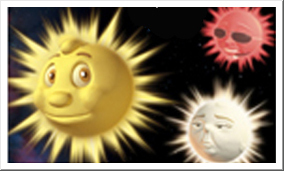 Little Star, an average yellow star, is in search of planets of his own to protect & warm. Along the way, he meets other stars, learns what makes each star special, and discovers that stars combine to form star clusters and galaxies. Eventually, Little Star finds his planets. 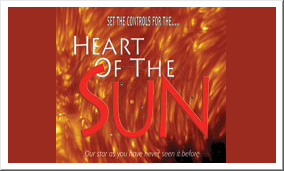 Each planet is introduced to audiences with basic information about our Solar System. For younger audiences. From the launch of the first artificial satellite Sputnik, to the magnificent lunar landings and privately operated space flights. 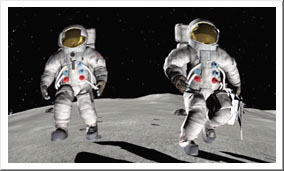 Be immersed and overwhelmed with this most accurate historic reconstruction of Man’s first steps into space. Who were these men and women that took part in these death defying endeavors? Witness their drive, their passion, and their perseverance to explore, in Dawn of the Space Age. Suitable for general audiences. Narrated by astrophysicist Neil deGrasse Tyson, Dark Universe celebrates a new age of cosmic discovery as well as its deepest mysteries. 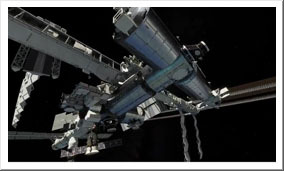 Dark Universe features spectacular scenes of recent spacecraft, such as the Galileo probe’s breathtaking plunge into Jupiter’s atmosphere, the most accurate visualizations ever produced, such as a Milky Way galaxy spangled with exploding supernovas, and novel renderings of hotly discussed phenomena like dark matter. General audiences & older children. 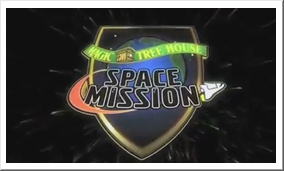 In Magic Tree House® Space Mission, a mysterious “M” sends the intrepid Jack and Annie on a fun-filled journey to discover the secrets of the Sun, Moon, planets, space travel and more. Aligned with early elementary information skills learning objectives, this beautifully-produced show is a winner with Magic Tree House® book series fans of all ages and school audiences alike. Suitable for families with young children preschool and up. One World, One Sky: Big Bird's Adventure begins on Sesame Street when Elmo's friend, Hu Hu Zhu, visits from China. 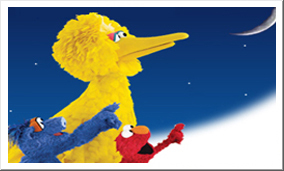 Big Bird, Elmo and Hu Hu Zhu take viewers on an exciting discovery of the sun, moon, and stars. They also learn about the Big Dipper and the North Star. Elmo and Hu Hu Zhu then take an imaginary trip to the Moon where they learn that the Moon is a very different place from the Earth. They even pick the North Star as their friendship star to always remind them of their shared joy of looking up at the sky together. Recommended for ages 3-6 with adults. New space-based telescopes, along with a new generation of terrestrial instruments, capture both the fine surface detail and the vast eruptions of the corona with unprecedented clarity and for the first time take us right inside a living star. From the Neolithic sky watchers of Europe to the solar observatories and blood sacrifice of Mesoamerica to the sun gods of the Egyptians and Greeks and the dawning of Aristotelian science, The Heart of the Sun reveals how the development of our whole cosmology has been informed by our struggle with this oldest of mysteries. Suitable for all ages. 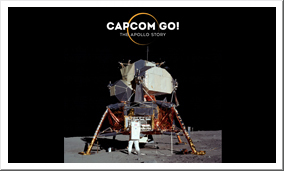 The Apollo Story - An immersive, historical documentary that showcases the achievements of the Apollo program and what it took to put the first human on the Moon. It introduces a new generation to the immense challenges they overcame and will inspire them to become the explorers, designers, engineers, thinkers and dreamers of the future. Suitable for all ages. This show is a great way to celebrate the 50th anniversary of the Apollo 11 Moon landing, and a perfect complement to the exhibition “Many Inspired Steps” on view in the Riverside Gallery May 25 – November 10. Shows and times are subject to change.